This painting was submitted for a contest. 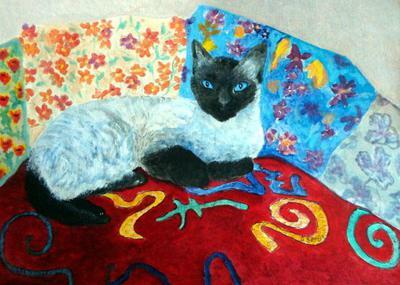 It was first time I had ever tried painting a cat. It was fun to do and I especially love the vibrant colors in the background. This was painted on canson paper 11x15.